Generally, when people who carry a compact firearm like a Kahr PM9 look for a gun holster that will further enhance concealment. Not that some people aren’t, but a Kahr PM9 is purpose-built for being concealed and so are Alien Gear holsters. 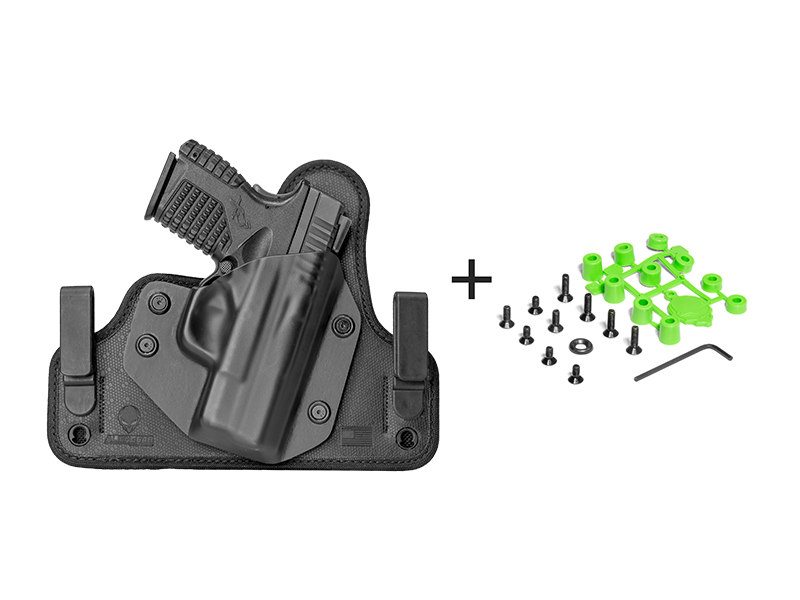 Any and every Kahr PM9 holster made by Alien Gear is optimized for concealment, in either IWB or OWB configuration. What sets Alien Gear Holsters apart from other holster makers is customizability and the comfort that comes with it. 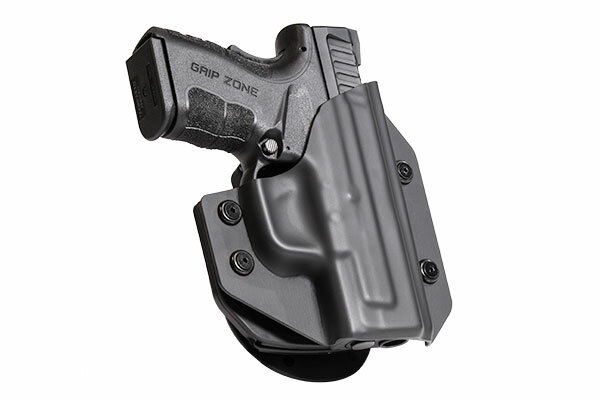 All holsters feature an adjustable retention shell, so draw can be set to the wearer’s preference. Additionally, our Kahr PM9 IWB holster models have adjustable belt clips, so ride height and cant can be set by the wearer. 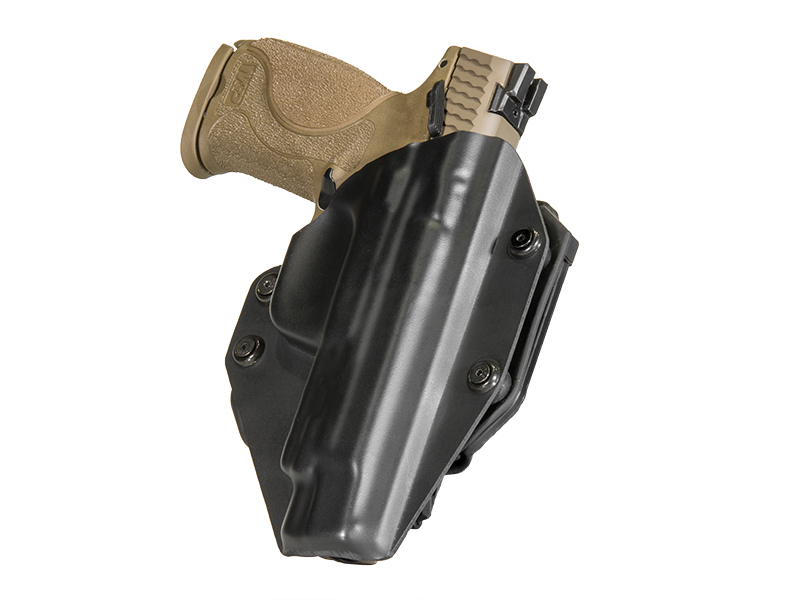 Our IWB holster models for the Kahr PM9 are the Cloak Tuck and Cloak Tuck 3.0. The original Tuck model is a heavy-duty leather holster featuring our adjustable shell, available in black or tan. 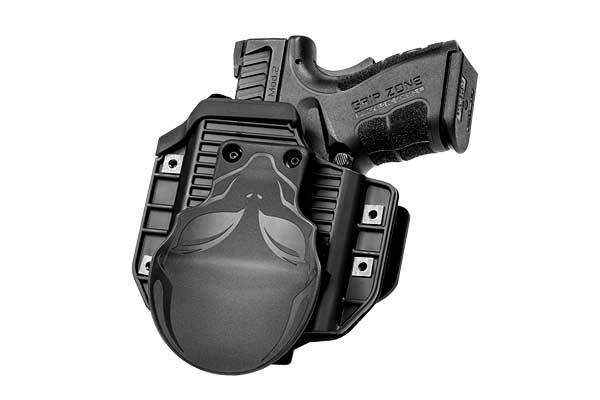 The 3.0, though, is the pinnacle in modern holster construction. The 3.0 features a spring steel core, for maximum retention and flexibility. 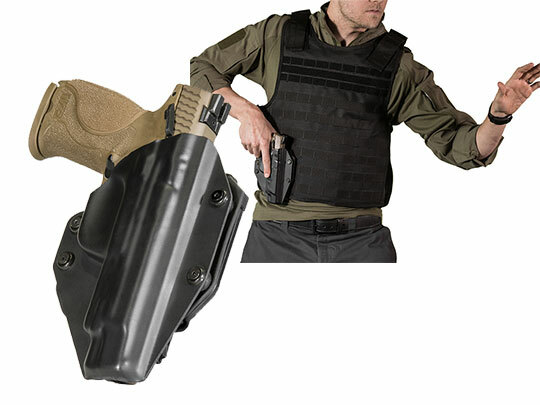 The back layer of the holster is neoprene, which wears comfortably while never allowing in moisture. We surface the 3.0 in Alien Skin, a high-drag material that won’t scuff your firearm while holding it securely while holstered. 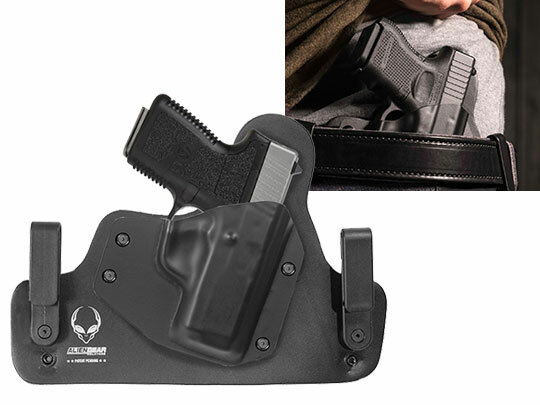 The result is a holster that’s strong enough for a lifetime of secure wear, but flexible enough to do so comfortably from the first day you put it on to the last. 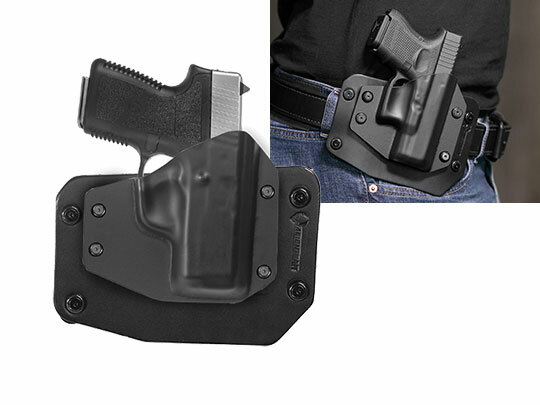 If OWB holster carry is preferable, or if you just like having options, there is also the Cloak Slide OWB holster. Made from the same high-quality leather as the Tuck, it also features our adjustable shell and can be had in black or tan. Every Alien Gear holster comes with an Iron Clad guarantee, starting with a lifetime guarantee of the holster. We also give you a 30-day Test Drive, during which the holster can be returned for a full refund if not satisfied. Purchase also enrolls you in Alien Gear’s lifetime holster shell swap program. If you replace your gun, you can replace the retention shell. Download the form, tell us what your new gun is, and send us your old shell. We’ll send it out on the house. Alien Gear just may be the last holster you ever need.